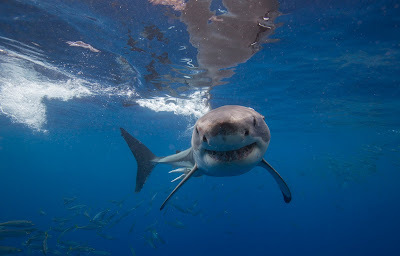 Shark Diver : Shark Diving : Swimming With Sharks: What kills fewer people than sharks each year? What kills fewer people than sharks each year? Every time a deadly shark attack occurs, people start pointing out what kills more people than sharks each year. This led me to think of a different question. What kills fewer people than sharks each year? Do you know anything that kills people, but fewer than 6 people worldwide? There might be something, but I haven't found it yet. So keep that question in mind, when you read the following. A record number of global shark attacks is making the news these days. As expected, the headlines proclaiming this fact vary, along with the tone of the article accompanying them. Discovery.com has a headline that says: "Record number of shark attacks in 2015" and their article goes on to mention all the places those attacks have happened and how those numbers increased. Discovery stresses the fact that all of those attacks were unprovoked and is careful to point out that we can expect an increase in those numbers. They stress the fact that the number of fatal attacks doubled in 2015 versus 2014. 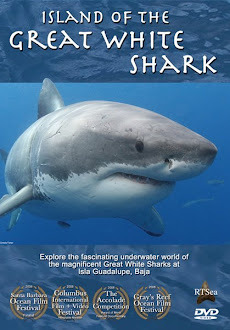 "Sharks plus humans equals attacks," George Burgess, curator of the file, which houses the globe's clearinghouse of shark attack data, said in a press release. 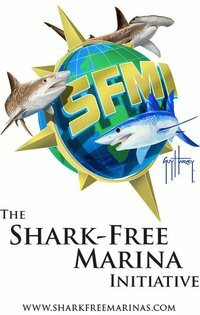 "As our population continues to rapidly grow and shark populations slowly recover, we’re going to see more interactions." Yes, the number of fatalities doubled versus 2014, but what they fail to mention is that the 2014 number was unusually low and only about half the annual average. 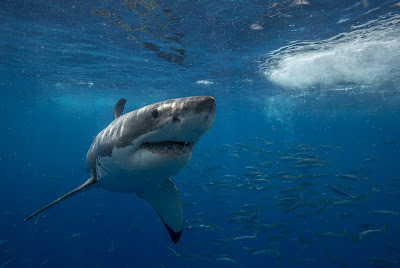 From the International Shark Attack File summary: Significantly, worldwide there were only six fatalities (producing a 6.1% fatality rate) resulting from unprovoked attacks (two in Reunion and single incidents in Australia, New Caledonia, Hawaii, and Egypt). The six attacks matched the annual average of the previous decade. This total is remarkably low given the billions of human-hours spent in the water each year. Discovery is also giving some good advice on how to avoid a shark attack, but not without prefacing it with "To avoid adding to the yearly tally", implying that not following that advice would lead to a shark attack. To avoid adding to the yearly tally, Burgess and his team advise not to swim at dusk, dawn or night. They also say not to wear shiny jewelry in the water, and not to swim where people are fishing, where fish are schooling or where seabirds are feeding. It's not until the very end of their article that they mention that there is really no reason to worry by saying this. Even with 2015's record-breaking number of shark attacks, your chances of experiencing such a risky encounter are very slim. Burgess reminded that the following culprits killed more people than sharks last year: spiders, dogs and lightning. So Discovery's headline could just as easily have said "Spiders, dogs and lightning kill more people than sharks!" but then again, who would read such an article? I'm really disappointed that an outlet that is supposedly meant to educate on nature and science, is stooping to sensationalizing and spreading fear instead. On the other hand, an outlet not usually known for holding back on sensational headlines, FOX 13 news in Tampa Bay had this headline: Researchers: 2015 breaks shark attack record, but don't panic. They start their article by saying: A record number of unprovoked shark attacks in 2015 prompted University of Florida researchers to find out why. The school released its report on what might be behind the 98 attacks - a number which breaks the 2000 record of 88 attacks. However, researchers said the increase should not be cause of alarm. Although there were more attacks in 2015, fatality rate was half that of 2000. Also, the increase in attacks was likely due to a growing human population, not a growing hunger amongst sharks for human flesh. Kudos to FOX 13 in Tampa Bay for reporting a shark attack story factually, without any sensationalism! Who knew that the mainstream media could do a better job at covering this story than a science network?